This is our Palmarosa Steam Distilled Essential that is useful in skincare, especially for dry or imbalanced skin. For this reason it is exceptionally beautiful in facial serums and soaps. Palmarosa Essential Oil is non-toxic, non-irritating and non-sensitizing. Herbal Folk Traditional uses for Palmarosa Essential Oil include appetite stimulant, digestive stimulant, emotionally balancing, moisturize skin, reduce fever and relieve oily skin. 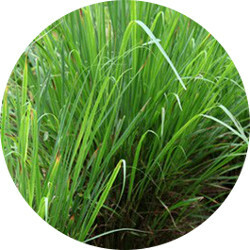 Palmarosa Essential Oil comes from the same botanical family as Lemongrass and Citronella. It is native to India and Pakistan! It has a sweet, floral, rosy, geranium like scent. Palmarosa Essential Oil blends well with Amyris, Bergamot, Cananga, Cedarwood, Cinnamon, Citronella, Clove, Coriander, Geranium, Ginger, Grapefruit, Jasmine, Lavender, Lime, Melissa, Oakmoss, Orange, Petitgrain, Rosewood, Rose Otto, Sandalwood, Violet and Ylang Ylang. Palmarosa Essential Oil's energy suggests the principal of movement and containment. Palmarosa Essential Oil's emotional level suggests free-flowing adaptability with a feeling of security. This equates to Palamrosa having double-direction activity that makes it soothing and astringent, dispersing and gathering. Palamrosa Essential Oil centers and comforts the heart and mind while clearing away oppression. Palmarosa Essential Oil has the following actions: antiseptic, bactericidal, cicatrizant, digestive stimulant, circulatory stimulant, febrifuge, hydrating and tonic. Shelf life is 5-6 years or more.